[updates] I found cute tall wide calf boots! 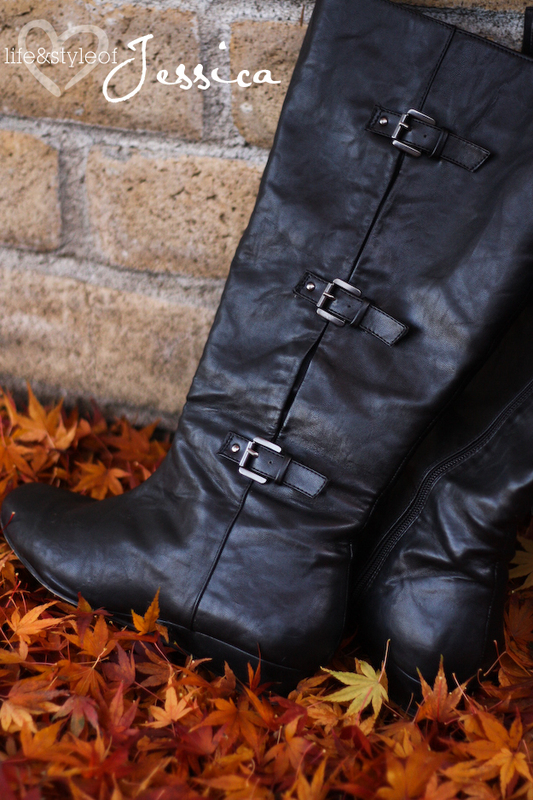 To say it's hard to find wide calf tall boots is an understatement! And, I KNOW I'm not the only one since my facebook page blew up when I griped about retailers wrongly classifying wide calf boots as 17"! I'm sorry, but in the land of large calves, this will not cut it. Need at least 19" and most I feel are needed 19.78" to 21". So, I have found some pairs through trial and error and wanted to share! Favorite #1 (below): I shared earlier this year one of my favorite and budget friendly cute wide calf boot finds, the Kayleigh Wide Calf Boot by Step Up Comfort. This boot did say in size 11WW the calf should be 20", but like most one size fits all size charts for boots (#fail) they were off by a half inch - a VERY crucial 1/2 by the way. So, if you consider this boot, know the calf is smaller than stated, but still a true wide calf. 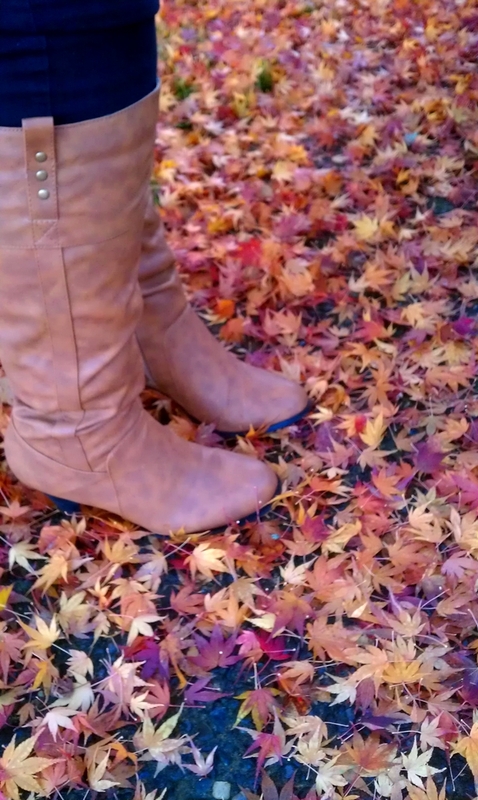 These boots are cute, comfortable and come in SIX colors! And, priced nice at around $48 (on sale now!). I LOVE the 1" wedge and can walk all day in these. 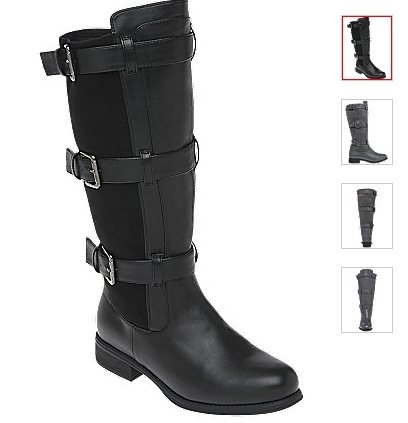 Favorite #3 (below): Wide Calf 3 Buckle Riding Boot from Lane Bryant I have these babies on the way! I tried on the black pair and these fit amazing! I ordered the grey color online. It's a good day in my world when the reviews for the boot are the calves are too big!! ahahahah!! Love it...ding! We have a winner. I love how these look masculine but still feel fem. LOVE. Q: Best Fitting Plus Size Denim?